Thank you to everyone who made NEPA Helping Nicky Sorbelli such a huge success last spring. Nicky continues to receive chemotherapy and has had frequent hospitalizations in the past months, necessitating the Sorbelli family to relocate temporarily to be closer to the hospital. As the Sorbelli family’s need is ongoing, NEPA is once again coming together for a benefit to help our friends. 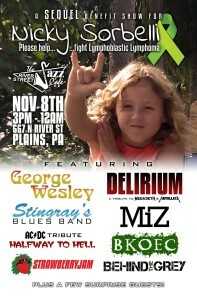 There is a killer line up of bands, as well as food, drinks, raffles and some surprises as well!! 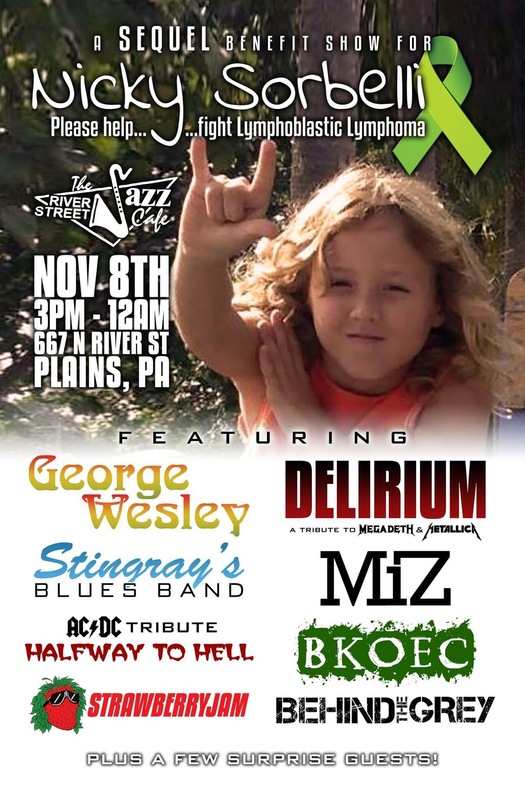 Aside from the donations and raffle items that all my friends are throwing in, I will be giving up many of my personal items to put into the raffle – like a bunch of music collectibles & autographs & records, as well as a few of my guitars. An all black USA Strat, a vintage cherry Dean Gran Sport, a few work horse guitars like my Reverend Charger HBFM and Nylon string guitar, one of my Luna ukuleles and more!